Passive Cooling addresses all of the existing creative energyless means of keeping buildings cool. 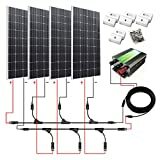 Unlike passive heating, which draws on the sun, passive cooling relies on three natural heat sinks - the sky, the atmosphere, and the earth to achieve temperature moderation. 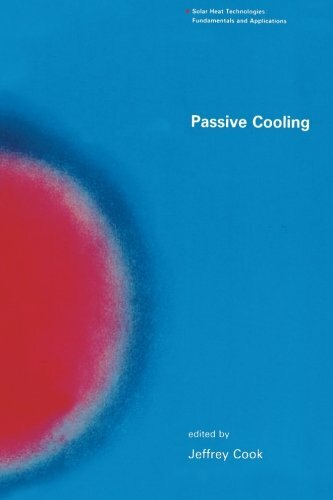 This book describes and evaluates mechanisms for coupling buildings to these sinks and ways of integrating multiple strategies into effective passive cooling systems.In Radiative Cooling, Marlo Martin explains how the sky specifically outer space - acts as the ultimate absorber to balance energy inputs from the sun as well as other sources. Ventilative Cooling by Subrato Chandra and Evaporative Cooling by John Yellott describe two ways in which the atmosphere can serve as a medium of heat transfer. The third natural heat sink the earth, is evaluated by Kenneth Labs in Earth Coupling. Gene Clark in Passive Cooling Systems explains how each of these cooling resources affects the design of a building in a dramatically different way and shows how they can be combined. And Jeffrey Cook reviews the current state of basic and applied research projects and anticipates promising future directions of study and application.Because passive cooling techniques have a rich and diverse history of worldwide development and application, the editor has taken special care to relate developments in the United States to international practice and research, providing a broad base for professional redirection in building design.Jeffrey Cook is Regents Professor of Architecture at Arizona State University. Passive Cooling is volume 8 in the series Solar Heat Technologies: Fundamentals and Applications, edited by Charles A Bankston.